Insulation can save you money! Artificial Intelligence in Energy, along with AI in most sectors, is destined to make major waves in the energy sector. 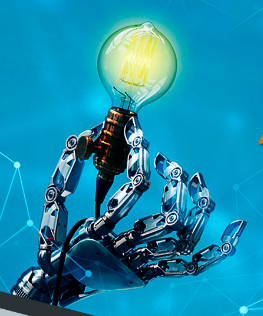 Here at MyUtilityGenius, we know that the genius that drives the energy sector exists in innovation and looking towards future technologies to bridge the gaps. A major actor in the will be the implementation of AI in the energy sector. Below is a very helpful informational graphic that gives an excellent idea on the opportunities that AI will bring and how it will shape the way in which the industry operates. Our friends at Fuel Fighter have made this awesome info graphic on AI in Energy. Discusses how Humans and Computers can work together to complement one another in bringing the best practices to the energy industry. Innovation is key to a stable energy system. This is achieved with synergy between humans and technology. Argues that AI will make energy more reliable, safe and optimized in the energy system. AI will make it easier to detect potential threats and respond accordingly. It will also make the customer experience more intuitive and responsive service providers. Discusses AI in Energy’s benefits to demand side flexibility, especially when it comes to renewable energy sources. Explains how AI in Energy will know what to do in three stages. In early stages it learns trends of the energy markets and creates algorithms based off of these trends. As it understands various scenario and what triggers them, it begins to match the system until the AI can do predict on its own in the final control stage. Discusses who are the main companies offering AI in energy solutions, looking into AI and what some of the hurdles for those companies in the AI space are. Can Switching Energy Supplier be Risky?